Hello, Gorgeous! : work wear & casual wear, lately! Cute outfits! Love your sweater and buttons up! I'm a new follower and would love for you to visit my blog! Such great outfits! Love 1, 4 and 5. I really need to get one of those bubble necklaces! I'm seeing them EVERYWHERE and they look so great. Love these looks!!! 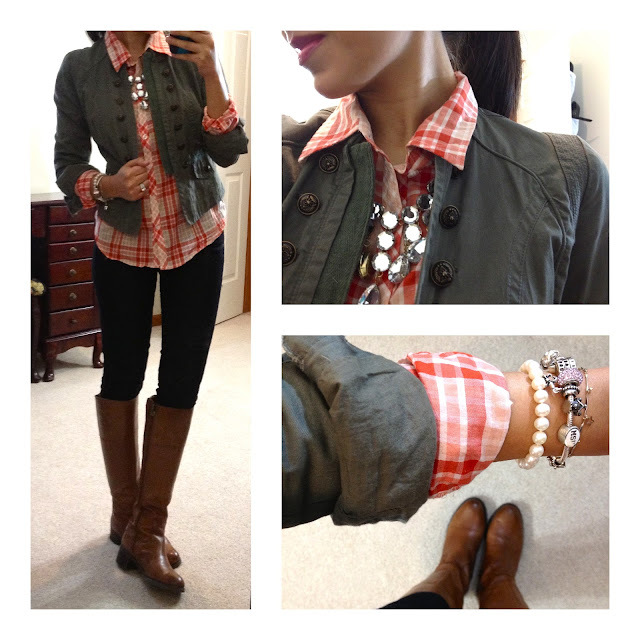 Love the gingham shirt! So classy! That bauble necklace from ebay is so cute!!! I haven't seen one that color! Gorgeous! Have fun with your parents! This post is making me think I need a pair of saddle colored riding boots! I love the mint and polka dot combo!! Ummm adorable! Now can I just cancel today & go to F21?! Love all the outfits!!! Just got inspired for something to pair my red jeans with thanks!! You are a very beautiful woman !! Love the casual dresses And also such a lovely blog! Everyone of these looks are truly beautiful! You’ve given me lots of inspiration here. Thank you so very much! WHERE TO FIND CHEAP ROMPERS AND CASUAL DRESSES? Online shopping is that it gives you the chance to browse through a diverse range of items in a short time. It is amazing and wonderful to visit your blog.